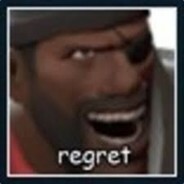 Hey, Im Jack, Im a normal pennsylvanian who likes Music, Team Fortress 2, Smash Bro's, and causing shitshows. Here is my obligatory friends list. A really nice guy, one of the few who understands me. A fellow pennsylvanian friend who helped me through tough times. Quantum but finnish and a nerd, also the only one who really talks to me. add me i have something important to tell you. I wouldve beaten you anyways.